Acura and Seinfeld have hit the road again, and their trip just got a few extra miles tacked on. But it really isn’t a show about nothing. The production team at Crackle have also made it virtually impossible to skip the Acura spots at the beginning of the videos. A seasoned Internet veteran can usually skip past YouTube ads, but Seinfeld’s show has the Acura ads embedded into the actual video, so bypassing isn’t an option. And since a mini Seinfeld reunion promoting the show was the most exciting thing about last year’s Super Bowl, staying in the passenger’s seat was probably at the top of Acura’s wish list. Season four of the show is already brewing, with comedians like Jon Stewart set to make appearances. Mix in the fact that total views of the series have hit over 40 million and consider Seinfeld and Acura satisfied. The show, which debuted in July 2012, has earned more than 40 million streams overall as well as an Emmy nom in the category of outstanding special class — short-format nonfiction programs. I’ll drink (coffee) to that! Seinfeld can do no wrong in my book. Everything Seinfeld does is perfect. 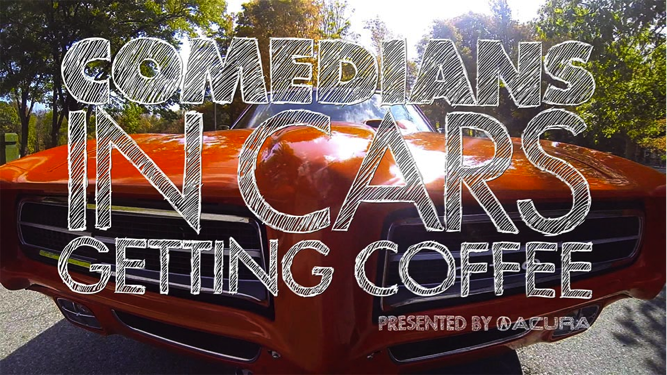 A major car maker and an awesome comedian. Now there’s a money making combo.